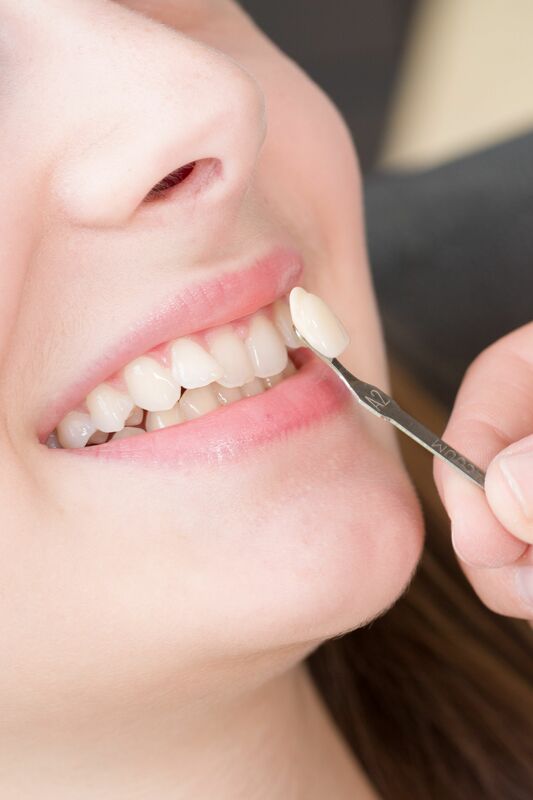 Gaps between the teeth, irregularly shaped teeth, discoloration, and other dental flaws can make patients feel self conscious about the appearance of their smile. Porcelain veneers are a popular treatment that can address cosmetic dental issues. Porcelain veneers are extremely durable and can last for many years. However, they may require replacement at some point, even with proper care and maintenance. To learn more about porcelain veneers replacement, schedule a consultation with our New York, NY team of dentists at the Harlem Center for Aesthetic Dentistry. Tooth decay: Tooth decay may occur in teeth treated with porcelain veneers, even though veneers cover the front surface of the teeth. The backs of the teeth remain exposed and vulnerable to decay, as do the areas around the gum line. If decay develops in a tooth supporting a veneer, the veneer may need to be replaced in order to treat tooth decay. Loose veneer: Porcelain veneers may become loose over time. The special dental cement used to bond the veneer to the teeth may loosen from general wear and tear or from age. Loose veneers pose a risk to dental health because they allow bacteria, food debris, and acids to lodge between the veneer and tooth, increasing the risk of decay. Replacing loose veneers as soon as possible is essential for protecting oral health. Damaged veneer: Veneers may become damaged for a number of reasons, like a facial injury, chewing on pen caps, or using your teeth to open a package. If a veneer becomes chipped, fractured, or otherwise damaged, it should be replaced as soon as possible to prevent damage to the underlying teeth and to restore the smile's appearance. Tooth discoloration: Porcelain veneers don't discolor like the natural teeth. Over time, this can cause a noticeable difference between the brightness of the veneers and discoloration of exposed natural teeth. In order to achieve uniform color, the veneers will need to be remade and replaced. Practice proper oral hygiene: Ensure the teeth supporting your veneers stay healthy and free of decay by brushing at least twice a day and flossing at least once a day. Also, seeing your dentist for a regular checkup and cleaning every six months can help ensure veneers are securely bonded to the teeth and that no other signs of damage are present. Use a soft-bristled toothbrush and nonabrasive toothpaste: Hard-bristled toothbrushes and abrasive toothpastes can scratch veneers, causing them to stain. Use a soft-bristled toothbrush and nonabrasive toothpaste to gently clean your veneers. Don't chew on hard objects: Chewing on hard objects and using your teeth to open packages can damage the natural teeth and veneers. Porcelain veneers can provide many years of improved aesthetics. For more information about porcelain veneers or alternative dental treatments, we welcome you to schedule a consultation with our team at the Harlem Center for Aesthetic Dentistry.